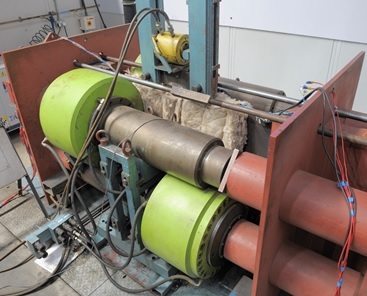 Axial testing of wide plates in static or fatigue loading. Load or displacement or strain control, servo or manual control. Double acting cylinders with 100mm stroke.